Black spaghetti? Unusual yet very special. Combined with salmon fish will be a unique dish to attract curiosity. Saute onion, garlic, canned mushroom, and smoked beef until fragrant, then mix in white sauce which has diluted with water and add cream together stock. 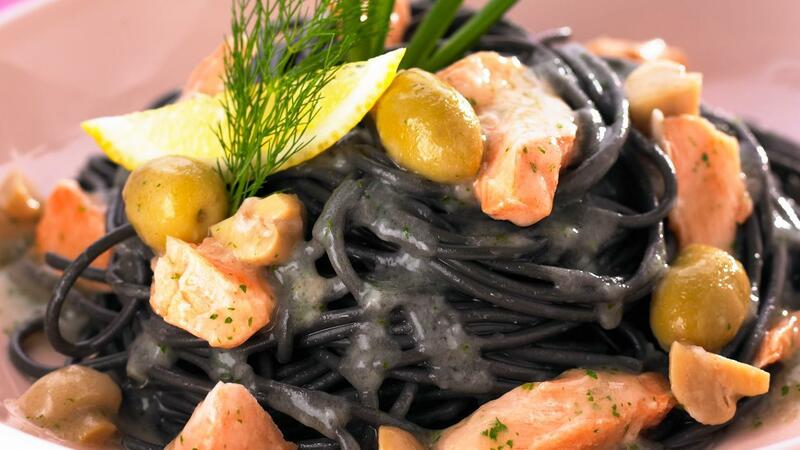 Mix salmon fish and black spaghetti slowly to white sauce and stir them. Season Black Spaghetti Salmon with Knorr Chicken Powder NAM and pepper. Garnish Black Spaghetti Salmon with parsley, tomatoes, and curly salad leaves.